Those who ski steep and/or deep snow usually choose longer poles and park skiers usually choose a shorter pole. 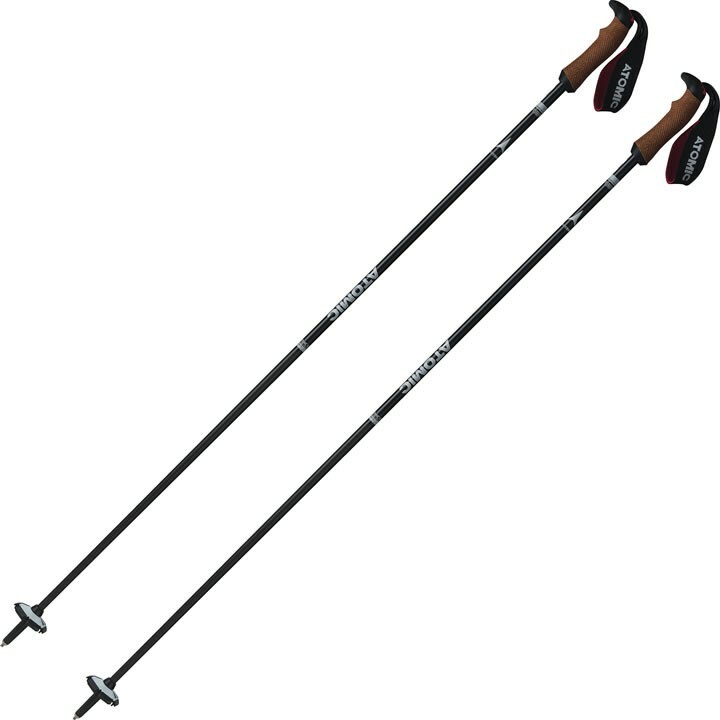 Many all-mountain skiers want the rigidity and super low weight of a pure carbon pole. The Atomic AMT Ultra SQS is Atomic's top 5∗ Ultra Carbon pole. What makes it even more special is the addition of Atomic SQS, Atomic's safety quick release system. The crucial thing is that it instantly releases your strap under tension to prevent injuries. For exceptional feel it has a special cork injected grip with ergonomic ridges and a padded strap. Then a 60mm piste basket and carbide tip. 5∗ Carbon Pole Technology: Very rigid and light. Ergonomic M-Fit: Medium grip diameter to fit male palm size. SQS - Safety Quick Release System: Instantly releases your strap under tension to prevent injuries.